The full moon day in the Tamil month of Karthigai is observed as Vishnu Deepam by Lord Vishnu devotees (Vaishnavites). Vishnu Deepam is celebrated by lighting bonfire known as Sokka Panai in Vishnu shrines. In 2018, the date of Vishnu Deepam is November 23. The day is popularly known as Karthigai Deepam – when all houses and temples will be decorated with oil lamps after sunset. The reason for the festival is based on Lord Vamana (Lord Trivikrama) incarnation of Lord Vishnu. Lord Vamana sending King Bali to the underworld is the basis of Vishnu Deepam. It is said that the two steps of Lord Vamana are the Uttarayan and vernal equinox. And the third step which sends Bali to the underworld is the autumn equinox. The bonfire lit on Vishnu Deepam remembers this event. 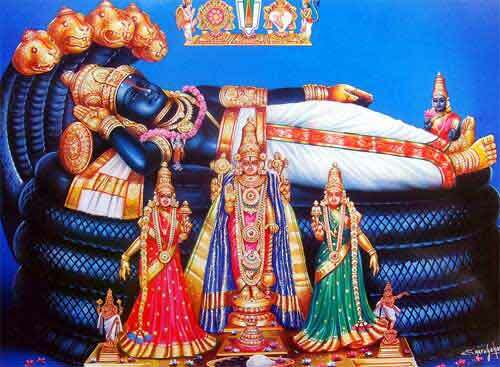 Vishnu Deepam is also observed as Yanai Pandigai by some communities in South India.